The weather in Zurich hasn't been great lately. After 1 week of bright and sunny days - when we all went out cycling, wore armless tees and shorts, celebrated the onset of spring with a beer or two at the sunniest table at the corner side restaurant - it is back to how it always is. Well, mostly. Rain, rain and yet more rain. No sign of the sun. On days like these a picture of a holiday at a sunny beach can do wonders to your mood. 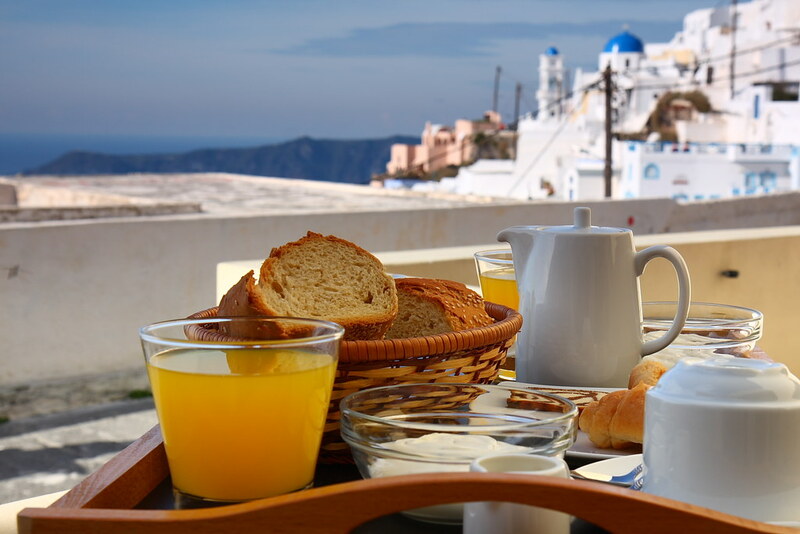 So the picture of our breakfast in bed on a beautiful morning in Greece did it for us. Our breakfast in Santorini. Enjoy! Wish you a happy spring!